Library Closings: library important notice goes here. Use this form to request that an item be sent from another STC campus. Items usually arrive within 2 business days. Use this form to request an item that is not owned by any STC library. See procedures below. If you need assistance with Interlibrary Loan, feel free to contact us. As a member of OCLC, STC shares collections with other libraries throughout the United States. 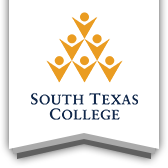 Faculty, staff, and students may request materials from other libraries if STC does not own the item. To request an item, complete the Interlibrary Loan Form. Physical materials will normally arrive at the STC library in seven to ten days. Electronic materials, such as journal articles, may be emailed directly to the patron. An STC Library staff member will notify requesters when their requests arrive or if a request will not be filled. Request Limit. Users are limited to 5 ILL requests per day. Restrictions on materials that can be requested. From December 12 until college operations resume in January, we are unable to borrow or lend books and other returnables. However, we will try to maintain normal service for non-returnable loans (e.g. journal article photocopies). Audio Visual (AV) items may be requested through ILL, but must be for library use only. Faculty members may request AV materials through ILL for classroom use. Books that have been published within 1 year prior cannot be requested. Patrons requesting genealogical materials should include surname information and/or specific pages for photocopying. Where possible they should ask for a photocopy of the index or table of contents from the material of interest. Books owned by South Texas College Library (including electronic books) that are checked out or on reserve cannot be ordered through interlibrary loan services. Textbooks cannot be ordered through interlibrary loan services. Patrons will be limited to requesting the same title twice within a semester. Materials sent to us electronically will be sent to the patron’s STC email account. Patrons receive pre-overdue notices 3 days before items become overdue. This gives patrons an opportunity to return items on time or ask for possible renewals. Once interlibrary loan items become overdue, students will be suspended from checking out any library items. This suspension will not be removed until 1 week after the associated item is returned. Faculty and staff with overdue interlibrary loan items will have their interlibrary loan borrowing privilege suspended until the overdue items are returned. Once items become 7 days overdue, holds will be placed on associated student accounts to prevent the release of transcripts. Once items become 14 days overdue, we will begin working with the lending libraries to create invoices to cover the cost of the items and any additional fees. Loss of Interlibrary loan privileges. Patrons who are delinquent in returning borrowed materials twice in a semester will lose their borrowing privileges for the remainder of that semester. Repeated delinquency in returning interlibrary loan materials will result in the loss of borrowing privileges. Patrons may obtain a free TexShare card to borrow items directly from other libraries, such as the University of Texas Rio Grande Valley. To obtain a TexShare card, you must present a current STC ID card and a driver’s license or equivalent form of identification. Here you can find a TexShare library. To check if another library owns a specific item, search OCLC WorldCat.